Windows Azure SQL Reporting is a cloud-based reporting service for the Windows Azure Platform built on SQL Server Reporting Services technologies. SQL Reporting provides many benefits, including rapid provisioning, cost-effective scalability, high availability, reduced management overhead, and secure access for viewing and managing reports. On February 11, at 7:26 AM UTC, the SQL Reporting Services suffer an outage in the East US sub-region. According the Windows Azure Service Dashboard, customer data are not affected but restoration steps will be a long running procedure. This region is now open to existing customer deployments. We are currently 25% through the restoration process for existing customers that were previously impacted. We are currently 45% through the restoration process for existing customers that were previously impacted. The full recovery was planned on 2/15/2013 at 2:00 AM UTC but extended to 2/15/2013 at 10:00 PM UTC 30 minutes later. Restoration for all impacted customers is complete. 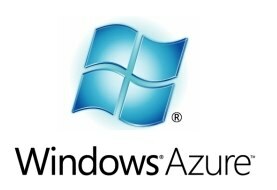 Azure SQL Reporting Services is now available and fully operational.